Kass Wilson, creative director of WallsTreat Studio, elevates faux finishes and decorative painting to the level of true artistry. Our relationship with our clients fosters a sense of adventure. Each project is viewed as a singular work of art that responds to the total experience of any environment. We see beauty in the unusual . . . combining styles that are sophisticated yet provocative, traditional with a contemporary twist, or simplicity with bold patterns to provide a new point of view. These surfaces are anything but conventional . . . they are inspirational. Based in Atlanta Georgia, STRUTTURA is an international team of artisans providing an array of architectural textures, faux finishes, murals, fine art and anything decorative, residential or commercial. 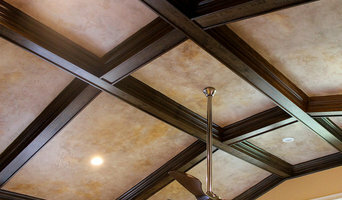 We specialize in the application of murals, Venetian Plaster and fine European wall treatments. Utilizing a centuries old technique, our Italian trained artisans have experience working both in Europe and the U.S. Our application expertise includes MURALS, PORTRAITS, ORIGINAL ART and FINE WALL FINISHES from intricate marbles, wood graining, gliding and glazes, columns, to textures, Venetian plaster, Duraplex, American Clay, antiquing, stained concrete countertops and floors, kitchen cabinets, etc. The owners have a combined 30 years of expertise and 45 years of education in this field of artistic expression. Our company is constantly striving to create the finest, most innovative finishes for our clients, using the highest quality products found the world over. With our professional team of talented artisans, we can turn the mundane into the magnificent. STRUTTURA offers you the dynamic vision of the individual artist combined with the advantages of a large contracting firm: • A quarter-century of experience in completing projects successfully-- from high-end custom residences to fast-track commercial projects and complex restorations • Experienced artists and managers who bring projects in on time and within the client's budget • Bid support -Specification assistance -Sample generation • Installation and post installation support • Fully insured Many years of research and practice in decorative textures and materials from around the world and through history have given STRUTTURA the skills to reproduce any historic or existing finishes. Our pool of talented artisans are capable in the most demanding techniques. THE PREMIER PAINTING COMPANY OF THE SOUTH Painting Georgia is your source for all coatings. With 25+ years of home improvement experience. 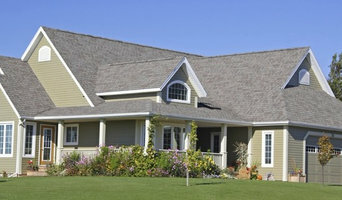 We offer superior and complete service for your home and commercial coating needs. We offer a wide range of coating services. Painting Georgia offers interior and exterior painting, deck and exterior recreation staining, pressure washing, concrete staining. wallpaper removal, and carpentry. 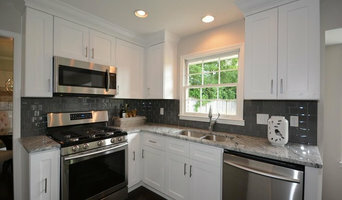 We also offer custom cabinetry. Painting Georgia believes in supporting local families and businesses. We strive to uphold Christian values. 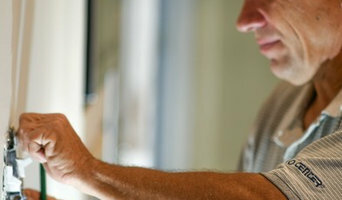 We hope we can help you, your family, and your business with a honest and integral contracting experience. With over 25 years home improvement experience, Tim and his teams of professional painters, look forward to earning your business and taking care of all of your painting and coating needs. Inspired by the demand to offer clients excellence, Artistic Impressions provides Old World Finishes and Murals that are Timeless ♦ Refined ♦ Sophisticated. We are proud to be serving the great city of Atlanta and its surroundings and we are dedicated to providing our clients with the best painting renovation services available. To ensure top customer satisfaction Brook Painting Company is fully insured and our professionals are always working to perfect their skills, resulting in unmatched quality and superior service at all times. We're passionate about delivering an exceptional painting experience. When you hire us, you're hiring a team of professionals who are trained and skilled to deliver lasting value to your home. From the initial estimate process to project completion, we consider ourselves humble guests in your home, and as such respect your personal privacy and space. We select and recommend the most effective products in today's home painting market. You can rely on our professional team to make recommendations that fit your taste and style but always give you the final word. 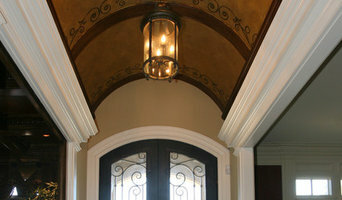 We offer a great variety of artistic Interior/Exterior finishes on walls, ceilings, cabinets, moulding. Also murals, hand painted canvas, theme rooms, Interior/Exterior Painting and restaurant decor.